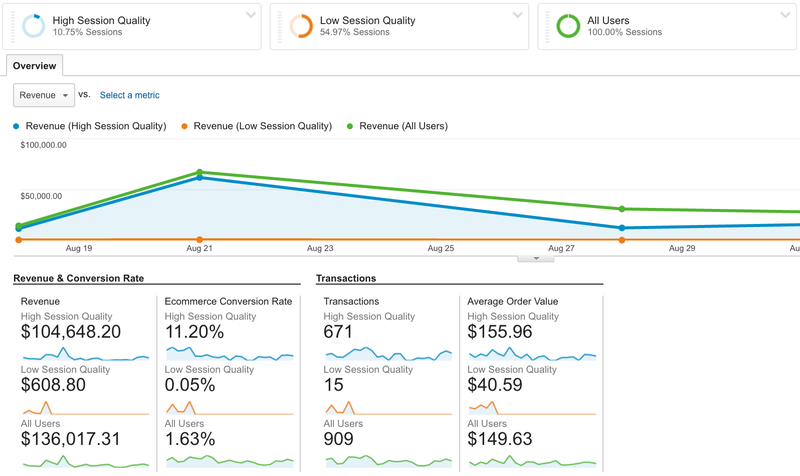 the Google Analytics 360 Suite, a set of integrated data and marketing analytics products designed for the needs of enterprise-class marketers in today’s multi-screen world. Today we have another exciting announcement. Next month we’ll start rolling out a new product: Google Optimize — a free version of our enterprise-class testing and personalization product, Google Optimize 360. Google Optimize will be globally available at that time. Additionally, we’re including enhancements to many of our existing free products. Read on for details. That’s what has led to today's announcement. We've made several advancements to the free versions of our analytics products to bring modern measurement to everyone, and help them create happier customers by providing more relevant experiences. Let’s take a closer look. 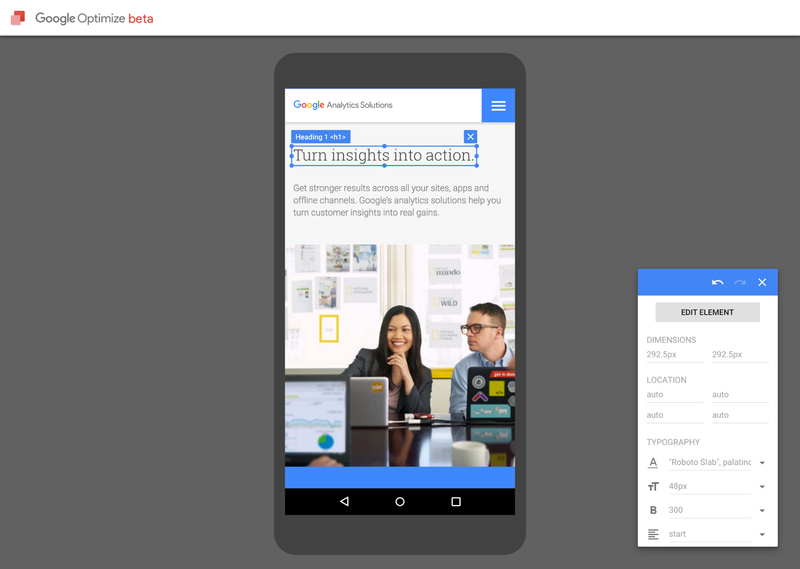 Google Optimize (beta). This free web and mobile-web testing and personalization tool helps businesses improve their customer experiences and business metrics. Because it’s built on top of Google Analytics, businesses can use their existing information to experiment and personalize site experiences with minimal setup requirements. Request an invite. "With Google Optimize, we’ve been able to provide more engaging content to The Next Web's readers – converting them from new readers to loyal customers." How can everyone access and share powerful data? Google Data Studio (beta), our free reporting and data visualization product, is now available globally in 21 new countries. * It enables businesses to easily spot and share insights, and collaborate to drive better decisions. Additionally, next month we’re launching report templates, making it even easier to get started. As with templates in Google Docs, Slides, and Sheets, businesses can create, edit, and use a library of templates to get up and running in a matter of minutes. Get started. 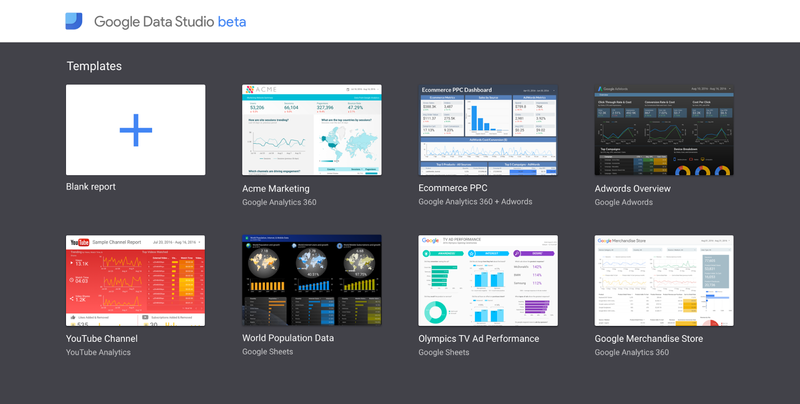 The enterprise and free versions of Google Data Studio launched earlier this year in the U.S. 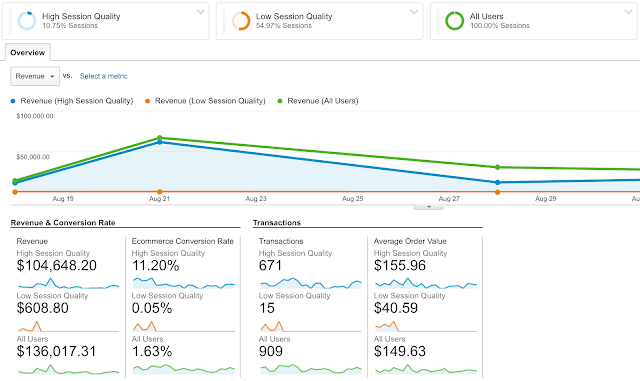 These updates are also available in Data Studio 360, part of the Google Analytics 360 Suite. How can everyone get useful insights, not just more data? Google Analytics, our free customer analytics product and measurement centerpiece, analyzes customer data from all touchpoints — and soon it’s becoming even smarter. Following the launch of our automated insight stream in the Google Analytics mobile app, we’re excited to announce Session Quality Score: A new metric that incorporates machine learning to predict the likelihood of a visitor making a transaction (purchase) on your site or app. Businesses can use session quality score to provide better customer experiences and / or remarket to their most engaged website visitors. This feature is coming soon in beta and will also be available in Analytics 360, part of the Google Analytics 360 Suite. How can everyone gain full visibility into customer journeys? Google Tag Manager empowers marketers to move faster and make decisions with confidence. It offers a simplified way to gather site information (all those tiny bits of code), and powerful APIs to increase data accuracy and streamline workflows. And today we’re greatly expanding our openness by integrating an additional 20 tags from Quantcast, Twitter, Microsoft Bing, Nielsen, and many more. See the full list of supported tags here. These updates will roll out over the next couple weeks and are also available in Tag Manager 360, part of the Google Analytics 360 Suite. Put simply, that's our goal with these new free products. As today’s businesses are shifting to compete on customer experience and personalized marketing, we want to give all businesses the tools and access to compete — and ultimately, drive better online consumer experiences. If you’re interested in learning more, please watch our blog this week and next. We’ll dive deeper into each product announcement and show you how they work. In the meantime, check out the resources below to learn more. Session Quality: Help Center update coming soon! As always, you can visit our website to sign-up for our free analytics products. This past March, we launched the Google Analytics 360 Suite, a set of integrated data and marketing analytics products designed for the needs of enterprise-class marketers in today’s multi-screen world.